Developers and UK Smart Ticketing Organization ITSO Look to HCE as Option for NFC Transit Ticketing | NFC Times – Near Field Communication and all contactless technology. 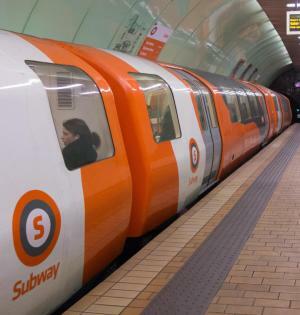 The transit agency that runs the Glasgow Subway in Scotland could be among the first to test HCE-enabled mobile transit ticketing. NFC TIMES Exclusive Insight – As OEM Pay wallet providers try to get more transit operators to put their closed-loop ticketing applets onto the NFC embedded secure chips in their devices, there is growing interest in alternatives to enable mobile transit ticketing. These include QR codes and Bluetooth low energy, or BLE, which don’t require secure elements and which are cross-platform, that is, similar versions of a transit operator’s app could run on both Android and iOS devices. Another option is host card emulation, or HCE, an implementation of NFC that does not require a secure element, though which is limited mainly to Android handsets. The need for secure elements is a problem for transit agencies and other fare-collection schemes that use contactless closed-loop cards and which want to offer mobile ticketing, since most of the schemes rely on such proprietary technologies as Mifare. Mifare's owner, chip maker NXP Semiconductors, has refused to support HCE so far. Article has about 2220 words.